There are many android tablets launched in the market day after day. Now, in this modern generation usage of tablets is common and people also like to buy new tablets for their use as they like to have new features and designs. But, there are number of latest tablets which expand the people's choice to buy. So, I have compared two good tablets named Google Nexus 7 and ASUS Transformer Pad Infinity TF700. Both tablets have been released in the market with the latest new features so there will be a tough comparison between them. The specifications, features and their prices are compared here for clarifying doubts and help you to finalize the best Android Tablet for you. In this article, I will explain the comparison between two android tablets which have different prices but same in some features. Nexus 7 - The Google Nexus has 7 inch display screen and the screen resolution is 1,280 x 800 Pixels with LCD display technology. The dimension of this tablet is 198.5 x 120 x 10.5 mm and 7.81 x 4.72 x 0.41 in terms of inches. The additional features of this screen are Additional Display Support, Ambient Light Sensor, Scratch Resistant Glass and touch screen. The weight of the Nexus 7 is 0.75 pounds or about 340 grams. ASUS Transformer Pad Infinity TF700 - The ASUS Transformer Pad Infinity TF700 has 10.1 inch display screen and the screen resolution is 1,920 x 1,200 Pixels with TFT display technology. The dimensions of this tablet are 7" x 10" x 0.33". The additional features of his screen are Additional Display Support, Ambient Light Sensor, Scratch Resistant Glass and touch screen. The weight of the ASUS Transformer Pad Infinity TF700 7 is 1.31 pounds. Nexus 7 - It has front camera of 1.2 megapixels. The other camera features are Front Facing Camera, Rear Facing Camera, autofocus and flash. The video capacity is 720p. ASUS Transformer Pad Infinity TF700 - It has front camera quality 2 megapixels and Rear Camera Quality is 8 megapixels. The Max Video Capture Resolution is 1080p. Nexus 7 - Its processor speed is 1.3 GHz with quad core. The processor of google nexus 7 is Tegra 3 processor. The internal storage of nexus 7 is 16 GB and the installed ram of 1 GB. It is platformed by Android OS 'Android OS, v4.1 Jelly Bean'. The other feature of his technology is accelerometer, gyro, proximity and compass. ASUS Transformer Pad Infinity TF700 - It is also platformed by android operating system and its processor is also quad core and processor speed is 1.6 GHz. The internal storage of this android is 64 GB. It also have installed ram of 1GB. It also supports removable external microSD. The battery capacity of the Google Nexus 7 is 4,325 mAh. The battery life of Google Nexus 7 is 10 hours and the average battery life is 9.5 hours. The video playback battery life of nexus 7 is 9 hours. It has Non-removable Li-Ion battery whereas ASUS Transformer Pad Infinity TF700 has the battery life of 9.5 Hours and the battery technology is Li Polymer. So we can say that Google Nexus 7 has better battery life than ASUS Transformer Pad Infinity TF700. Google Nexus 7 - The wireless connectivity of Google Nexus 7 supports 3G Internet, Bluetooth, DLNA, NFC and WiFi and the wired connectivity supports HDMI, microUSB and USB. The headphone connector is 3.5mm. The multimedia features of the google nexus 7 is DLNA, GPS Navigation, Graphics Accelerator, HD Playback, Microphone, and Video Recording, etc. ASUS Transformer Pad Infinity TF700 - The Bluetooth version of ASUS Transformer Pad Infinity TF700 is 3.0 and The wireless connectivity supports 3G Internet, Bluetooth, DLNA, NFC and WiFi and the wired connectivity supports HDMI, microUSB and USB. The headphone connector is 3.5mm. It also has the multimedia feature of is DLNA, GPS Navigation, Graphics Accelerator, HD Playback, Microphone, and Video Recording, etc. So both the android tablets having connectivity and multimedia feature same. The Nexus is priced at Rs 15,999 whereas the ASUS Transformer Pad Infinity TF700 is about Rs 20,999. Nexus is available at the official website Google play Store where ASUS Transformer Pad Infinity TF700 can be ordered via online shopping. ASUS Transformer Pad Infinity TF700 is winner in terms of camera comparison against nexus 7. In technology specifications, Google nexus 7 is winner against ASUS Transformer Pad Infinity TF700. Google nexus 7 is also a winner in terms of connectivity and multimedia. Battery. Google Nexus 7 is winner in terms of battery. 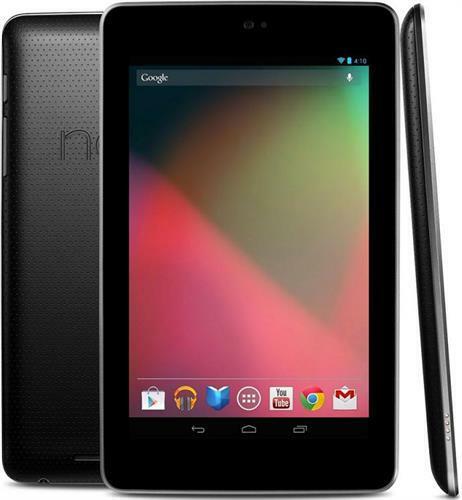 Price and availability – Google nexus 7 has the lower price and good features.